Origin Instruments Windows BUNDLE Headmouse Nano SoftType 5 for Windows. Origin Instruments: Windows BUNDLE Headmouse Nano + SoftType 5 for Windows. A great value product combination - Headmouse Nano + SoftType Onscreen Keyboard for Windows. Please refer to our HeadMouse Nano product page for information about the HeadMouse Nano wireless head-controlled mouse. Origin SofType is a software utility which replaces the functionality of a desktop keyboard with a full featured, on-screen keyboard for Windows. SofType can be accessed using a mouse or mouse emulator such as the HeadMouse® Nano. SofType works by generating an image of a keyboard on the computer screen. When a key is selected (clicked), the character represented by that key is sent to the Windows application with focus. Click the play button for a short video demonstration of the Slide-out. Slide-out Launcher is a new feature in SofType to start or re-start the SofType keyboard using dwell. Simply position the mouse pointer at the selected screen edge and a slide-out button appears, hold the mouse pointer within the button for the 5-second countdown and SofType starts or re-starts. Slide-out Launcher provides peace of mind knowing you can start SofType without assistance. No more worries about logging in or accessing those special Windows security screens and dialog boxes when installing a new application. Click the play button for a short video demonstration of AutoClick and Dragger. 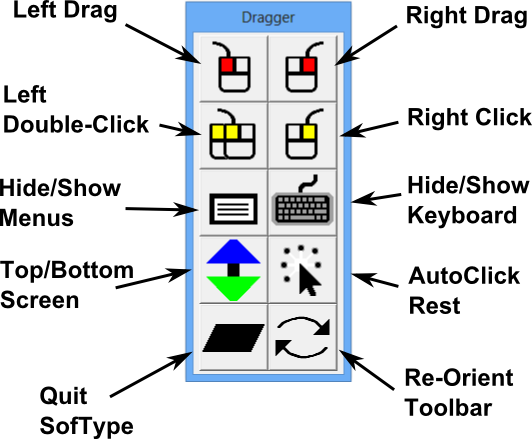 Dragger™ is a toolbar integrated into SofType; which allows AutoClick users and single-switch users to perform all the common clicking functions of a two-button mouse. Specific buttons on the Dragger toolbar are associated with the common clicking functions -- Double Click, Left Drag, Right Click and Right Drag. Dragger has an AutoClick Rest (On/Off) button, which enables and disables AutoClick's dwell feature. There are also other Dragger buttons for keyboard management features such as rearranging the Dragger toolbar, hiding the keyboard, and quickly moving the keyboard between the top and bottom of the screen. SofType's keyboard can be dragged anywhere on the screen just like any other window, but with Dragger's convenient Move Top/Bottom button, only one click is required to move the keyboard from any location to the closest top or bottom screen edge. If SofType is already on a screen edge it will move to the opposite edge with a single click of Dragger's Top/Bottom button. 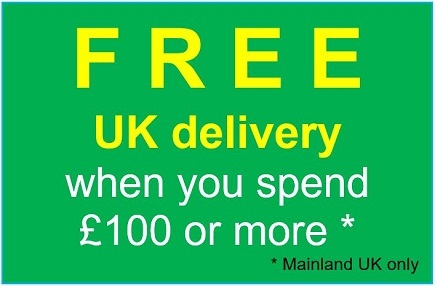 If you need the features of Dragger without a keyboard you will be interested in our stand-alone version. SofType with English alphabetical layout, and word prediction and Dragger disabled. The Default layout in French with word prediction and Dragger disabled and show all characters enabled. 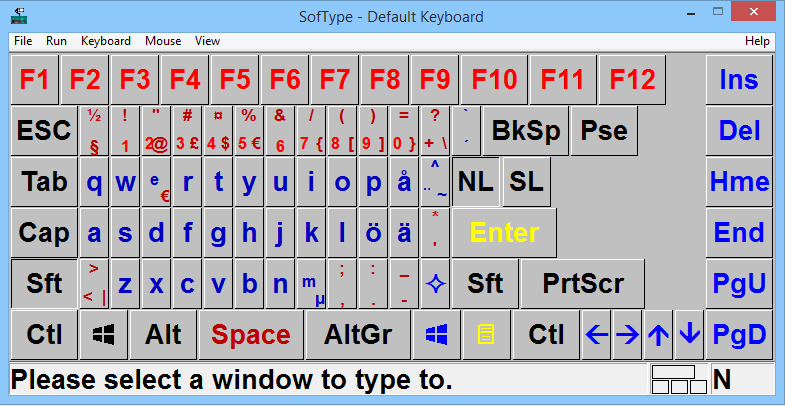 The Default layout in Swedish with word prediction and Dragger disabled and show all characters enabled. 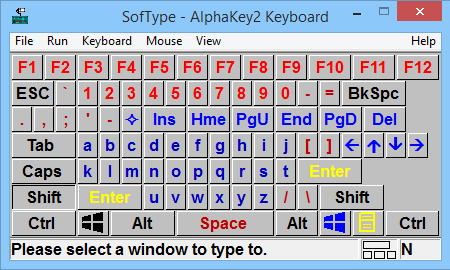 SofType 5 is for use with Windows Vista, Windows 7, Windows 8 and Windows 10.